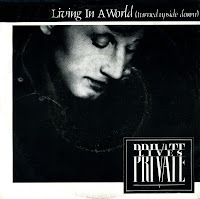 I didn't know until I bought this 12" single that Private Lives released a remixed version of their single 'Living in a world (turned upside down)' within a year of its original release. The new version was produced by Stewart Levine, an American producer who's worked with an impressive line-up of soul-oriented names: The Crusaders, Minnie Riperton, Lionel Richie, Simply Red, B.B. King, Patti Labelle, Oleta Adams, Womack and Womack and many others. Not that this new version is better than the original: sure, it sounds smooth but the spontaneity of the the original version is gone. Still, you can't go very wrong with great song material like this. 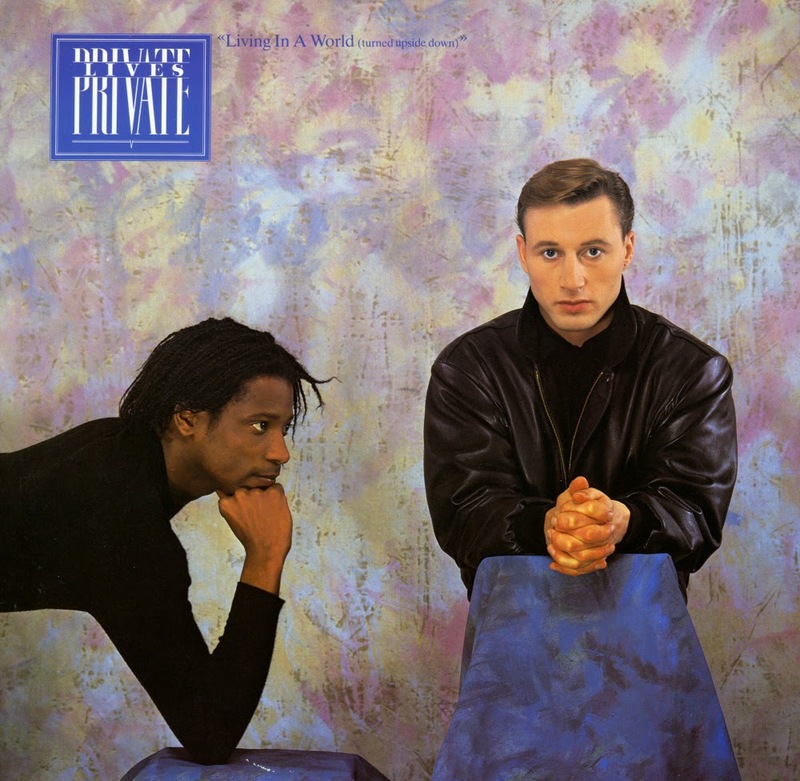 Although the British band Private Lives never hit it big, they certainly had their chances since three different singles were taken from their only album release. 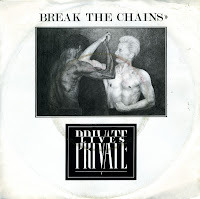 'Break the chains' is probably the least wellknown of the three, but it was still released on 7" and 12". This 12" version features both the radio mix of the track and an extended version - although the latter is not announced as such on the sleeve. While it's a mystery to me why other singles 'Living in a world (turned upside down)' and 'From a river to a sea' did so bad, I can understand it better for this one. Although I like the tune, it certainly isn't spectacular by any standard. 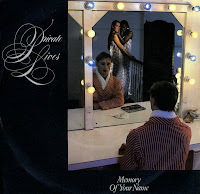 Private Lives released a handful of singles, but their best known tracks remains 'Living in a world (turned upside down)'. Recorded at those legendary Select Sound Studios in Knebworth, it is one of the best pop songs from 1984. At least, that's what I think. The record company must have had similar thoughts as they re-released the track after two other singles didn't chart. The original single reached number 53 in the UK singles chart, this re-release didn't chart. The end of the duo came pretty quickly after that. This 12" single features the new single version of the title track, but also a nice extended version and a dub remix of their very first single release, 'Because you're young'. I'm still hoping for a cd release of Private Lives' only album 'Prejudice & Pride'. It has never been issued on cd and not only is it a great album, there are also such great remixes of the singles available. Take for instance their third single, 'From a river to a sea': not only an extended version and a dub mix of the title track, but also a version of 'Because you're young', an earlier single of the duo. Let's hope Cherry Pop will pick up the hint and start asking for a license for these tracks. In 1982, when this single was released, the British band Private Lives consisted of John Adams, Rick Lane and John Reid. Two years later, Adams would record the first Private Lives album together with Morris Michael. 'The memory of your name' was one of the singles released by the early line-up that wasn't successful. Interesting fact: Simon Climie plays guitar on the track. He would later form Climie Fisher together with Rob Fisher. 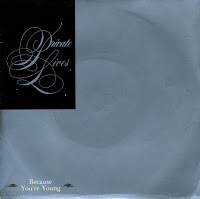 This single from 1982 features an early version of the track 'Because you're young' by the then-unknown group Private Lives. The sleeve only added to the mystery: there was no photograph of its members anywhere. 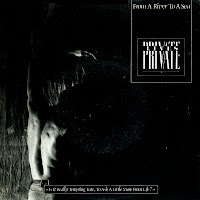 A listing of names on the back of the sleeve reveals that Private Lives consisted of John Adams, Steve Harvey, Brother James, Rick Lane, John Reid and Bobby Valentino. Session musicians Paul Harvey and Gary Barnacle appeared on this track as well. The single did not reach the charts, but the track would resurface in 1984 as a re-recorded B-side of the single 'From a river to a sea'. 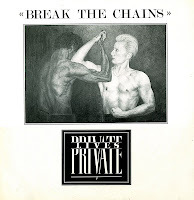 'Break the chains' was the third and last single release from Private lives' debut album 'Prejudice and pride'. The single version was slightly different from the album version, as it added a sung intro. Like most Private lives singles, this one did not chart. It's a mystery to me why this single didn't do better in the Eighties. 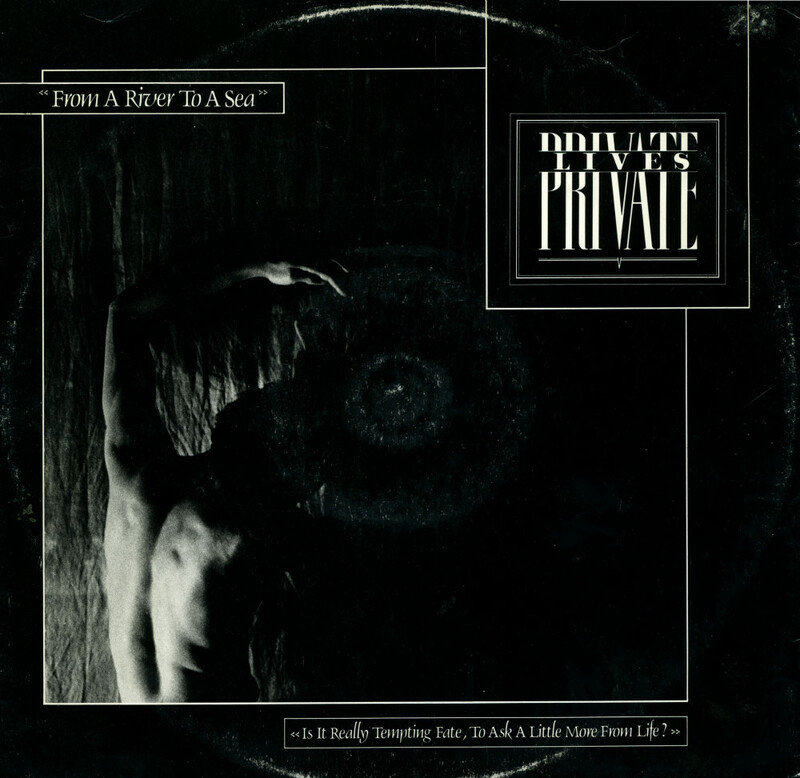 Released in 1984, Private Lives' 'From a river to a sea' is a beautiful track, driven by a catchy guitar hook and fiery backing vocals. John Adams' voice shines like a diamond and the whole thing is just delicious. The radio station I listened to in the first half of the 1980's was very much oriented towards the UK charts. Even if songs didn't make it into the Dutch charts, you would hear the latest sounds from Britain, and that would give you a good idea of what was going on on the other side of the North Sea. Private Lives was a band that never made it in Europe. They didn't even make it in the UK, as only this song, 'Living in a world (turned upside down)' reached the lower regions of the singles charts. It's a classy, stylish song, with a melody that stays in your head once you've heard it. I loved it in the eighties and I was happy to find this single almost a decade later. Much to my surprise, it was a Dutch pressing!